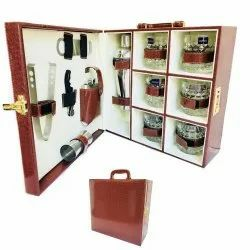 Manufacturer of a wide range of products which include wine box in leather box, leather wine case, wooden wine boxes, wine box, leather wine box set of double bottle and wooden wine box. 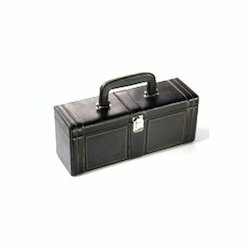 As prominent manufacturer, exporter, wholesaler, trader, importer & supplier in this domain, we are offering a wide variety of _Wine Box In Leather Box. The offered _wine box is designed by our experts using only quality assured material as per the trends of market. The offered _wine box is used to meet all of _wine, _beer_ and spirit shipping needs. In addition, offered _wine box is checked by quality experts in order to ensure its defect free range. 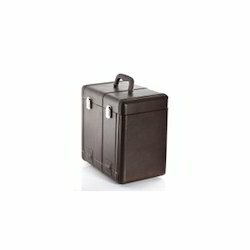 Owing to our proficiency in this domain, we are offering our clients a wide gamut of Leather Wine Case. 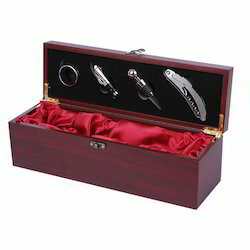 The offered wine box is designed in stylish look and finished with several colored polishes. This wine box can be also customized by our professionals in various designs and sizes as per customer’s choices. The offered wine box is checked from our end before delivering to the customers. We are elegant supplier and manufacturer of Wooden Wine Boxes. We are leading manufacturer of Wine Box. 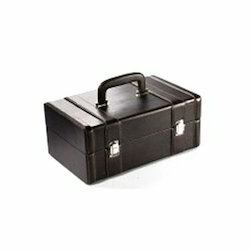 We take pleasure in introducing ourselves as one of the leading organizations, engaged in offering Leather Wine Box Set of Double Bottle. This wine box set is aesthetically designed by our affluent craftsmen utilizing excellent quality material as per the contemporary trend of market. The offered wine box set is made available in various designs and sizes to suit demands of customers. Also, we are giving this wine box set to customers within a given time frame at affordable price. 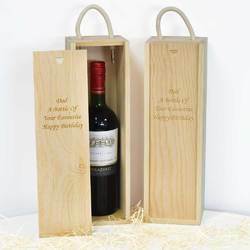 We are instrumental in providing our clients a comprehensive range of Wooden Wine Box that is highly appreciated in the market for their salient attributes. This wine box is extensively used in packaging and storage wines. The offered wine box is made accessible in various designs and sizes to suit demands of customers. Also, we are giving this wine box to customers within a given time frame at reasonable price. In order to fulfil the ever-changing demands of our clients, we have been engaged in supplying a quality approved range of Wine Boxes. 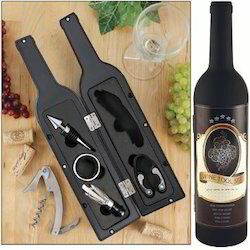 We are leading manufacturer and supplier of Wine Tool Set in Bottle Shape .